Carrying a binder of research under her arm, Naomi Primeau walked the grounds at Eastlake Park in Phoenix, gliding past the playground, shaded picnic tables and the site of a once-segregated community swimming pool. On a recent searing-hot summer morning, as children of all backgrounds played in Eastlake’s air-conditioned community center, it seemed difficult to envision the park at Jefferson and 16th streets as off-limits to anyone. But there was a time when black residents of the neighborhood were not allowed to swim at the same time in the same pool as whites, and Eastlake’s pool was drained after it was used by people of color so whites could swim in fresh water. 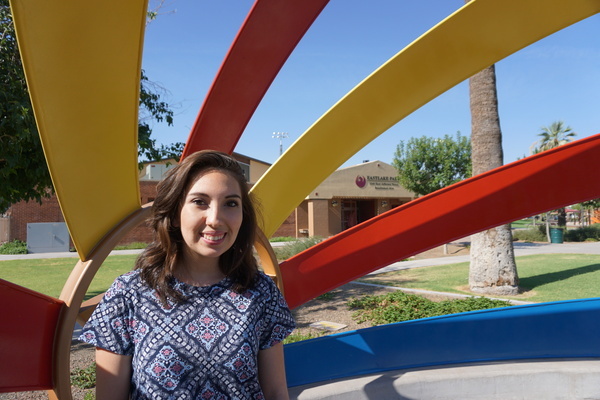 Primeau, a junior in Grand Canyon University’s new public history program, is investigating Eastlake’s background through a summer internship with the Phoenix Historic Preservation Office. She is chronicling the park’s history to bolster the city’s application for a listing on the National Register of Historic Places, which is managed by the National Park Service. Using research skills she learned in GCU’s history courses, Primeau has been digging through newspaper archives and books to uncover details about the park’s timeline. It began as a quaint green space for upper-class whites disembarking at a popular railway stop around the turn of the 20th century, and evolved into a site where black leader Booker T. Washington. He once spoke at the park before it became a hub for the civil-rights movement in Phoenix’s African-American community. Faculty in GCU’s College of Humanities and Social Sciences said internships such as Primeau’s will become more common as the public history program grows and prepares more students for careers as preservationists, museum curators, community archivists and other roles where historical skills and knowledge are used for the greater good. GCU’s program is the only undergraduate public history program in Arizona, and one of few of its type available online in the U.S. In addition to the public history degree, GCU also offers a bachelor’s degree in history, as well as a bachelor’s degree in history with an emphasis in history for secondary education. While some students want to teach social studies, others, like Primeau, see themselves as investigators who cull various sources to present the story of a place, person, group or event to a broader public audience. Public history majors complete 120 hours of fieldwork, which helps them determine if archives, museums or preservation offices are the best fit. While Eastlake Park is already listed on the local register of historic places, Primeau has been digging deeper into the park’s original owner, its landscaping throughout the years and its place from 1889 to present in the lives of Phoenix residents, to make a case for national recognition. 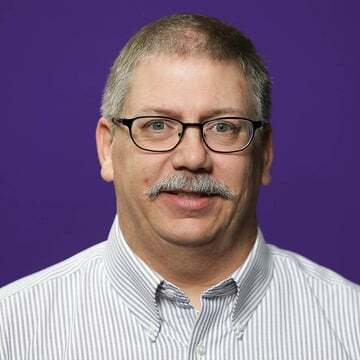 Dr. David Dean, GCU’s lead faculty member for the history program, has forged relationships with various museums and government agencies to provide the student manpower needed to tackle assignments such as the Eastlake project. Experiences like those, he said, will help set GCU students “look at community in a variety of ways,” and set themselves apart from others for entry-level jobs and graduate school applications. “Our goal here is to give students the opportunity to experience what it’s like to be a historian, to see if they like it,” said Dean, a public historian whose work includes in-depth historical studies of the African-American and Hispanic communities in Phoenix. Just one year into its own history, public history students have already landed internships with the Chandler Museum of History, the i.d.e.a. Museum in Mesa, the Arizona Historical Society, a public history consulting firm, and other organizations dedicated to keeping America’s past relevant for future generations. In his summer internship at the Maritime Museum of San Diego, GCU senior Francisco Lira has helped establish a new exhibit about the Soviet-era B-39 submarine and other exhibits. He also discovered a powerful, unrelated historical artifact. While sorting through some evidence in the museum’s archive for a routine assignment, Lira stood atop a ladder and peered down into a box at what appeared to be the signature of U.S. President John Adams on a 1798 document. The presidential signature appeared authentic. He was stunned. After checking with his professor, Dean, and his bosses at the museum, Lira learned that it was an official customs document signed by Adams and Secretary of State Timothy Pickering to grant safe passage to a merchant ship en route to ports in the Caribbean. The document likely was dropped off with a package of artifacts years ago and never properly catalogued at the museum, which focused on American and Pacific naval history. It likely is authentic, but not rare. It was more like a form letter of its time, one of many of its type shared with customs houses of that era. Dean helped Lira determine that it was an artifact of the two-year Quasi-War with France, in which French warships targeted American merchant vessels for capture or destruction. Still, stumbling upon an official Presidential document from the 18th century led Lira to believe he’d found his calling, especially in an industry where government budget cuts and museum staffing shortages may lead to artifacts such as this one to be misplaced in storage or lost to antiquity. 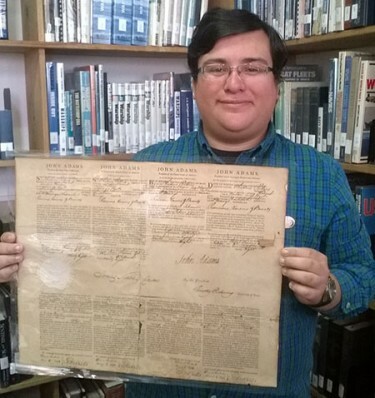 “Something like that is exciting to people who come in and bring it to the collection, but if you can’t find a place for it immediately, you have to shelve it and move on to the next thing,” said Lira, who will be president of GCU’s History Club this year. The San Diego native said the John Adams experience helped him recognize that he wants to work in a museum — and uncover the stories behind historical artifacts.